The 15 Best Rainy Day Activities to Do Michigan! What do you do in Michigan when it's raining? The good news is that a state that's adapted to snow also has developed plenty of worthwhile activities for when warm snow—I mean, rain—hits. So, grab your umbrellas and galoshes, because we're going to take a look at 15 great options for when it rains. For perhaps the optimum example of movie-going in Michigan, hit Traverse City's State Theatre, which is still showing first-run movies at some decent prices, including both Wednesday Classic and Saturday Kids Matinees at just a quarter. This is also where Traverse City hosts its annual film festival, so if you're in the area when it's showing, be prepared for some exciting films ahead. Bookstores abound in Michigan, from the last survivor of the great chain wars Barnes & Noble to the independent bookstore. Those wanting a unique bookstore experience will be able to get just that out of the Cottage Book Shop in Glen Arbor. Not too far from the Sleeping Bear Dunes, the Cottage Book Shop looks like it's indeed a cottage that's full of books. Though the shop has changed hands more than once since its opening in 1985, it's still around and providing an unusual book experience for its shoppers. Whether you just go to sit and reflect on the rain hitting the window or engage in some Wi-Fi powered connectivity—you can even get work done!—there's no end to the options of cafes and rainy days. The winner in Michigan cafes, according to MLive's recent figuring, is the Black Owl Café in Kalamazoo, boasting an array of hot and cold drinks as well as breakfast options until 1:30 p.m. on the weekends. Throw in an eclectic design and a clearly artistic focus and the result is a winner every time. While a day at the water park sounds like a great option—so great that we talked about these in our article on family friendly activities—it would be easy to think that rain would spoil the fun. So an indoor water park might be the best option, because it doesn't matter what's going on outside. The fun is always indoors. Zehnder's Splash Village in Frankenmuth may be the best example of indoor water park. Featuring two separate parks in one, one park even includes a retractable roof, so the fun doesn't stop when the rain starts! The notion of going to a museum might leave the kids a little rebellious, but we've already seen that there are plenty of exciting options when it comes to museum fare that are almost fun enough to make the kids forget they're learning. The Henry Ford Museum in Dearborn is an excellent example of fun museum fare, with exhibits from Rosa Parks' bus seat to John F. Kennedy's limousine, as well as entertaining exhibits like Model T rides, there's plenty to see and do right here. Take an entire large room, and cover the entire floor and a good chunk of the wall with trampolines. Now you have an idea of what a trampoline park is, and why it makes such a great rainy day plan. Trampoline parks, as they're sometimes called, are found all over Michigan, but Midland's Aftershock Indoor Trampoline Park may represent one of the best. Featuring open jump sessions, as well as sessions devoted strictly for the younger set, as well as a party room for those celebrating special occasions, Aftershock will keep everyone bouncing nicely even on the wettest days. One of the greatest places to craft some clay in Michigan is Detroit's Sugar Hill Clay. Featuring classes for beginners and intermediary potters, as well as sufficient material and equipment on hand for the advanced, Sugar Hill will allow users to practice the art of ceramics and pottery to the best of their skill level all under one roof. Bugs are fairly universal in Michigan, particularly in the warmer months and in rural areas. Spend enough time outside after dark long enough without bug spray and you'll get personally acquainted with a horde of mosquitoes. However, there's one great attraction that makes for an awesome rainy day: Grand Traverse's Bug Zoo. Featuring beetles, frogs, honeybees and spiders—the spiders are contained in one particular area, so arachnophobes can easily bypass it and check out the rest of the displays—it's a great way to get acquainted with bugs without being in the midst of them...or in the rain. Traverse City is home to an incredible experience in the Great Lakes Children's Museum: An interactive, hands-on attraction called “Let's Go Sailing.” The attraction will introduce the physics of sailing to young sailors, striving for technical accuracy above all. When finished sailing, check out the rest of the exhibits on hand for a complete rainy day experience. Michigan is a state that enjoys its sports, and has thus made provisions to enjoy some even in the midst of bad weather. From indoor football stadiums, to domed driving ranges, sports in Michigan almost never get completely rained out. For a great example of sports any time of year, check out the Superior Dome in Marquette. It's not only the largest contiguous indoor space in town, but it's also the fifth largest dome in the world and home to field hockey, soccer, football and more. A wonderful activity in cold weather, and the kind of thing that reminds you that warm and sunny days aren't far away, hitting an indoor garden in Michigan is actually easier than you might think. Several such examples can be found all over, but for those near Grand Rapids, the Lena Meijer Tropical Conservatory will be more than sufficient. Hibiscus, palms, and banana trees abound along with the sound of small streams and waterfalls. It's no wonder that people are willing to get married here, and often do. If the kids are starting to get on your nerves being cooped up indoors, then consider a playground. If that sounds like an irredeemably muddy affair, don't worry: This kind is strictly indoors. There are a host of indoor, inflatable playgrounds around Michigan, but one of the greats is Spring Break, Inc in Birch Run. With over 9,000 square-feet of bouncing, sliding, climbing fun on hand, this is a great way to not even notice that it's raining. No, this isn't encouragement of casual drunkenness in the midst of terrible weather. The fact is that bars are not what they used to be. No longer dank and smoky holes, bars these days come equipped with multiple televisions, trivia games that compete nationwide, pool tables, arcade games and plenty more. While several such entities exist throughout Michigan, the DK BeerCade in Harrison Township offers all the great old-fashioned arcade games matched up with some of Michigan's finest alcoholic tastes and a complete restaurant all in one. Bowling is one of Michigan's great equalizing activities. There are bowling alleys all over Michigan, and most any town big enough to command more than one stoplight will have at least one on hand no matter how cosmopolitan its surroundings are. One of the greats is parked in the unlikely place of Northport, known as Tucker's of Northport, it's named for a Golden Doodle that was particularly prized by its owners. Tucker's isn't just about clever names. Try the bowling, the video games, and the steak dinners. Yes, it's part bowling alley, part steakhouse, and all rainy-day fun in one. When the outside is grim and gray, and the rain's falling down, sometimes all you can do is declare a spa day. Thankfully, Michigan will be ready to accommodate with plenty of spas offering a variety of services all over the state. 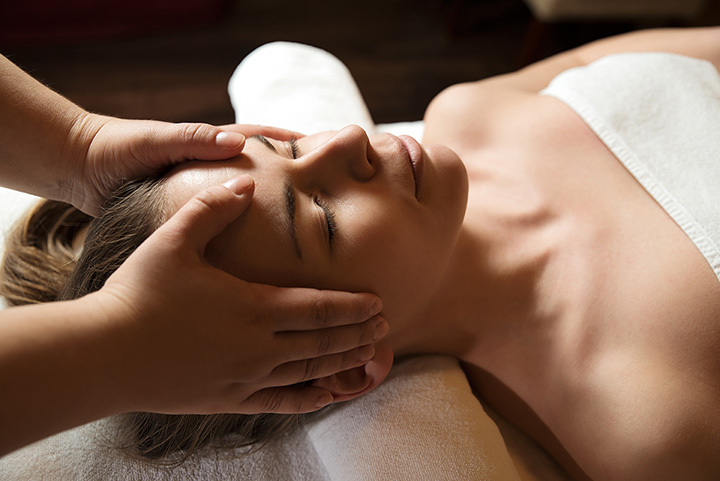 Perhaps the best is Detroit's Tamara Spa, which was actually declared the best day spa in the United States by Allure Magazine. The Ladies Home Journal rang assent calling its pedicures the best the Midwest could offer. If that doesn't sound like a rainy-day destination, it's hard to figure out what might qualify. View more Michigan Rainy Day Activities.